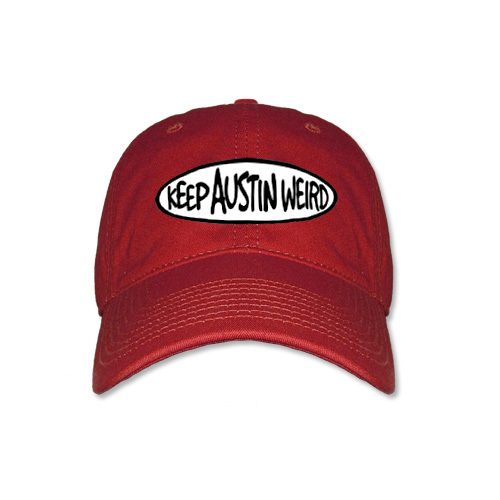 ATX Guitar Script - Black Cap [5611CPBK] : Outhouse Designs Screen Print T-shirt Store, Keep Austin Weird! 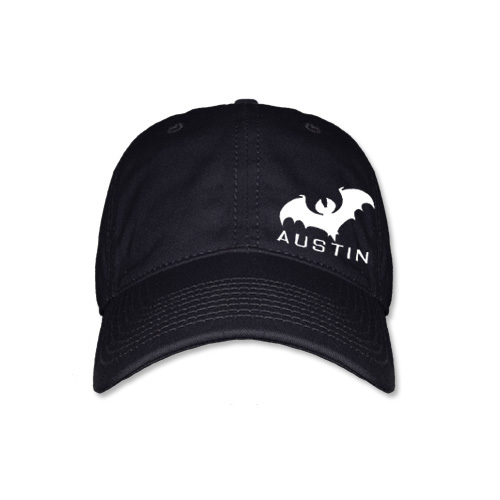 Relaxed, Low Profile Cotton Twill Cap with adjustable buckle closure. 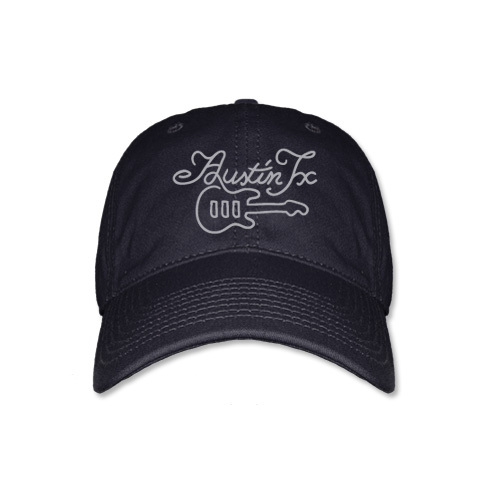 Features "Austin, TX" with a guitar in a flowing script. One Size Fits All.